The Club has a duty of care to its employees and all users of the golf course. Caution and care must be shown by all users of buggies. The Club must also ensure adequate safe means of access for all golfers as well as those given permission to use buggies. 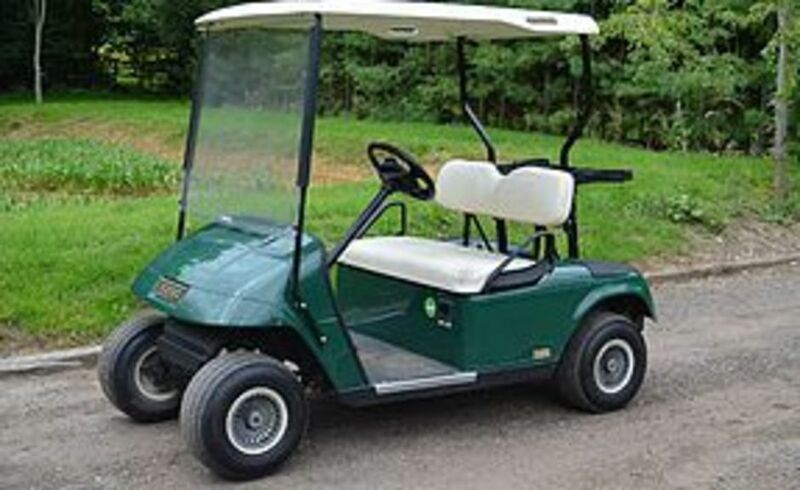 Moreover, the Club has to ensure the safety of the majority of golfers who do not use buggies but who might be at risk from a mechanically defective buggy or its careless use. The Club's duty of care also applies to any members of the public who may be on the course. Consideration should always be given to the next player. Try to leave the rake in the flat part of the bunker so moving it will not cause an issue. One of the greatest players of all time, Arnold Palmer, gives his thoughts on Better Etiquette. 6) Make your golf cart "invisible"
A player may obtain distance infromation by using a device that measures distance only. If, during a stipulated round, a player uses a distance measuring device that is designed to gauge or measure other conditions that might affect his play (e.g gradient, windspeed, temperature, etc) the player is in breach of Rule 14-3, for which the penalty is disqualification, regardless of whther any such additional function is actually used.